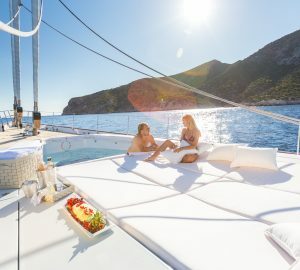 Martha is an American luxury charter broker with over a decade of experience arranging customised private luxury yacht charter vacations around the world on everything from crewed catamarans to the largest superyachts (see some of her bookings below). Dedicated to working around the clock to ensure that clients are satisfied with the best boat at the best price Martha has an admirable work ethic (as evidenced by her glowing reviews - see below). She prides herself on her sincerity and her ability to seek and solve new challenges and it is this approach that means her customers have easy and care-free access to the best service and the best deals. She is keen on establishing and maintaining a high standard of professional ethics, rules and skills in charter industry and Martha’s commitment to the highest, international standards has been proven by the membership in the major, international organizations such as, MYBA (Mediterranean Yacht Broker Association); committee member, CYBA (Caribbean Yacht Broker Association); Chairman of Contract Committee and board member; as well as IYBA (International Yacht Broker Association). Her collective expertise covers the sale, purchase, charter and management of substantial yachts, in addition to all other aspects of yachting such as charter, yacht management, yacht marketing and project consultancy. Martha brings to CharterWorld a wealth of knowledge and as the former manager of Sunreef Charters Poland and President of Sunreef Yacht Charter, Inc USA Martha Martha uses her fifteen years of experience in arranging charter locations around the world to give her customers the best service on the most impressive luxury yachts for charter. She has received dozens of positive client/customer reviews regarding her charter vacations and she takes all feedback very seriously (even if it was a complaint) in order to fine tune and improve her service. “I believe that acquiring and maintaining loyal repeat business as well as aspiring to exceed my client’s expectations, is always is of the highest importance. My long-term experience in the yachting industry has taught me how to meet and exceed each customer's expectations with service that sells. I have assisted all types of customers in all types of settings. I think the most important is to truly know the product (yachts) and ensure that crew and yacht’s characteristics such as design, layout & onboard ambiance, corresponds well with my clients personality their interests and wishes. In my opinion a successful charter followed by client’s positive feedback is what makes my job so unique. Wonderful comments and happy clients is what it is all about for me! No money can buy a “thank you” letter from my clients who appreciate my hard work and will return to book their next charter adventure. I have been participating in annual worldwide known Boat Shows, both sales and charter for past fifteen years, e.g. Cannes, Monaco, Fort Lauderdale, BVI, , Antigua Charter Meeting, Miami, MYBA Genoa Show, MYBA St Maarten Show, Napoli , Dusseldorf, Dubai and Paris Boat Shows. 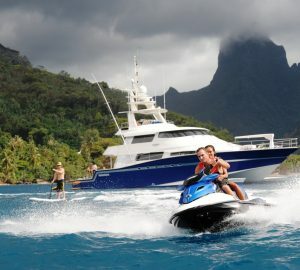 Its always exciting to see new boats being launched and joining the charter market. 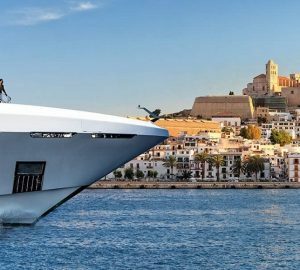 Its great to be able to offer clients a selection of brand new yachts with the most spectacular& contemporary designs, as well as excellent crew and highly trained chef ( many of whom with Michelin training) welcoming them onboard of the most luxurious yachts. I enjoy spending my time actively. I have a great love for traveling, fitness, martial arts, outdoors, racing cars& motorcycles and I greatly appreciate art & literature. When not working out in the gym or running at the beach, you will find me in an art gallery, enjoying reading a book or walking my dog.